Each year, millions of people from across the United States and around the world gather together to watch two teams in their battle to see who will be the next Super Bowl Champion of the NFL. 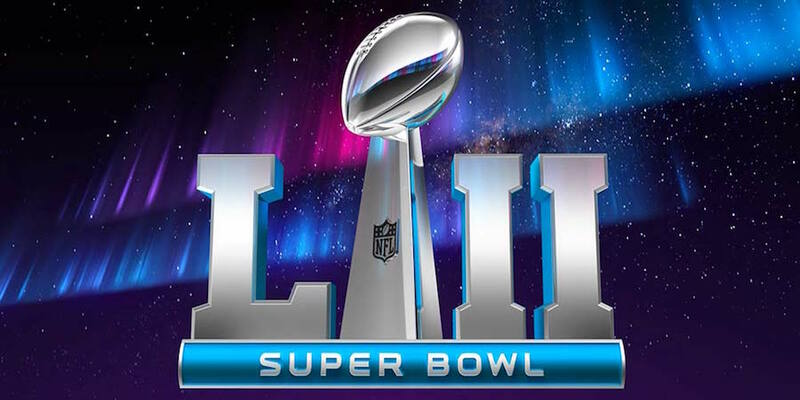 This year on Sunday, February 4, 2018, you can experience Super Bowl LII at a variety of establishments scattered throughout the Grand Strand, and if you're spending the weekend at one of our fabulous Myrtle Beach vacation rentals, you can even enjoy the big game from the privacy and comfort of your own living room! Check out our list of the Top 5 Sports Bars of the Grand Strand to figure out where you should be on Super Bowl Sunday 2018! Bring the whole family to Ultimate California Pizza Game Zone on the north end of Myrtle Beach for a Super Bowl filled with fun games, delicious food, and a kid-friendly atmosphere. With dozens and dozens arcade-style games, the fun is nearly endless for adults and children alike. Super Bowl fans will have no trouble keeping up with the game on the more than 30 flat screen televisions that are scattered throughout the building. Chow down on a variety of pizzas, wings, and appetizers while you check out the biggest football game of the year at Ultimate California Pizza Game Zone. Make your way over to Broadway at the Beach on Super Bowl Sunday for some grown-up games, a full sprawling menu, and plenty of cold drinks to keep you going during the big game. You can't go wrong with a trip to Dave & Buster's, where you can release some steam from the frustrations of the game with a little skee-ball or air hockey. Enjoy the game from your choice of several huge HD TVs, and be on the lookout for gamed specials, dozens of beer choices, signature cocktails, and much more! Overtime Sports Cafe takes watching your favorite teams play to a whole new level, with over 150 TVs, a 12 ft. video wall, three 60 inch large screens, and four 10-ft wide projection screens. You won't miss a second of the Super Bowl and its legendary commercials when you spend the evening at Overtime on the north end of the Grand Strand. The sports cafe also has several billiards tables and arcade-style games to keep you entertained throughout the Super Bowl! Menu items include Mile High Nachos, a variety of chicken wings, sandwiches, salads, and platters. Bring your friends along for an epic Super Bowl event at Overtime Sports Cafe. Head over to Broadway at the Beach, where Broadway Louie's will host their "Big Game" Viewing party from 6 p.m. to 2 a.m. Louie's will be offering up food and drink specials all day, so get there early to reserve your spot for Super Bowl LII. Dine on pizza, wings, burgers, subs, and more whenever you choose Broadway Louie's as your Super Bowl headquarters. If you're looking to spend some time at Myrtle Beach's thrilling Broadway at the Beach, then watching the Super Bowl there just makes sense! Nestled off of Mr. Joe White Avenue in Myrtle Beach, Bumstead's offers visitors and locals the sportier experience with European flair. Dine inside, where you'll find a wooden bar and cozy booths, or take your Super Bowl party outdoors and enjoy the exterior seating and fireplaces. Either way, you'll be able to easily keep track of all of the excitement of Super Bowl LII. Bumstead's menu is huge, including favorites like quesadillas, specialty sandwiches, burgers, salads, and more. You'll be in for a unique spin on the Grand Strand bar scene when you visit Bumstead's Pub! If you'd rather stay in and enjoy the Super Bowl in privacy and comfort (pajamas), take advantage of the cable TVs in your condo. Prepare your football snacks in your fully-equipped kitchen, or order pizza delivery straight to your beach home. 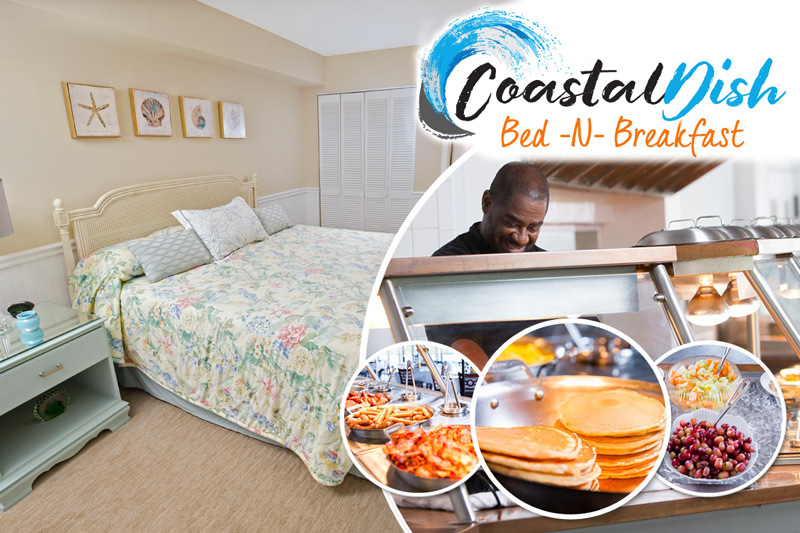 Whether you choose to stay in or venture out into the city, you're sure to find the perfect Super Bowl experience for you during your vacation in Myrtle Beach!